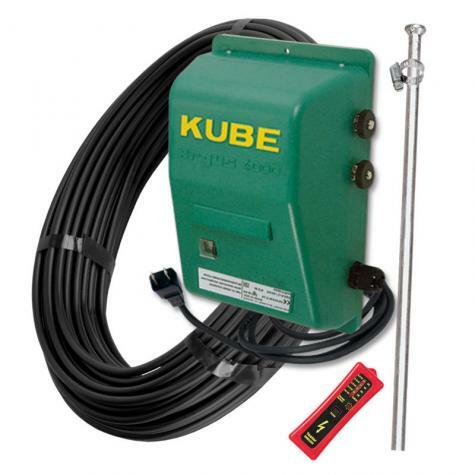 A 2.3 joule output, 110v electric fence energizer used for medium length fences. Plug in the energizer at an outlet and carry the pulse to the fence via the supplied insulated cable. 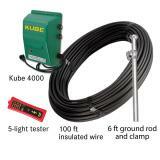 Wide-impedance 110v energizer to power fencing used to keep in cattle, sheep, goats, horses, poultry and guard dogs. Effective at protecting against coyotes, stray dogs, bear and fox. It also works to keep deer, raccoons and rabbits out of garden/orchard areas. Easy to install can't wait to add another fence. Easy install and works as described. Installed with chicken netting.